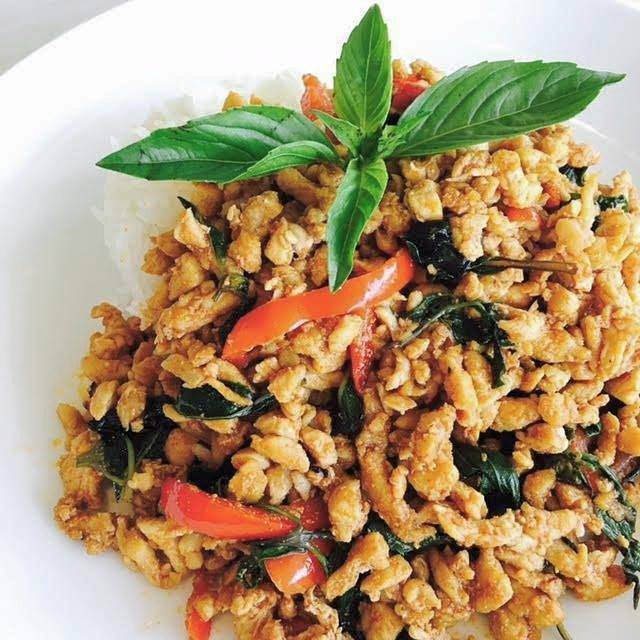 We are the taste that Dallas has been looking for, serving New Bangkok style cuisine combined with an Asian fused menu since 2005 receiving numerous national and local awards for food quality excellence. We stand by our fresh ingredients and our best in class service. Our locations are chic but comfortable – we believe in eccentric clean and modern environments and try and reflect that not only in our locations but in our food. Stop by and let your palate travel to heaven with our Pad Thai offerings, Sea Bass, or our lighter fare, Beef Thai Salad. 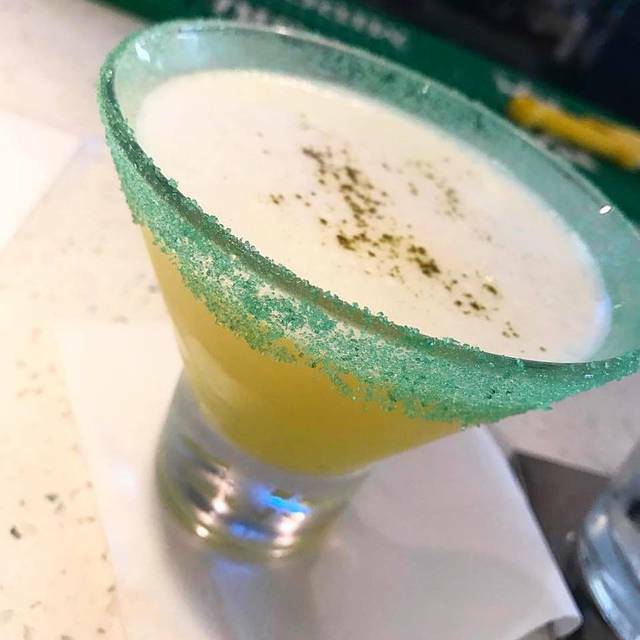 We offer a full service bar, and feature a number of signature drinks, including organic wines and martinis. 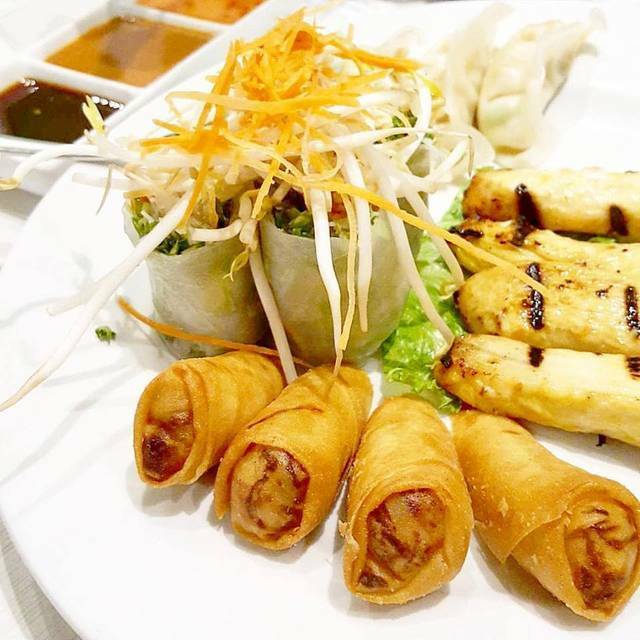 Grilled chicken satay, fresh chicken summer roll, and fried vegetable egg roll steamed dumplin. Organic spring mix, julienned rainbow seasonal vegetables, grape tomato, cashew, red bell pepper, fresh mint, toasted sesame seed, and Thai peanut dressing or lime vinaigrette. Green papaya, grape tomato, carrot, long green bean, peanut, and tamarind chili lime dressing. Spicy. I am a GREAT FAN of all Asian Mint restaurants! Their basil fried rice is my most favorite thing! Service was a bit slow and never got the lime wedges we asked for. Love Asian Mint. Food is always fresh and delicious and portions are big. Bew Took care of our table, and was very sweet and charming and helped with our selections. Good selection of appetizers and entrees to choose from. Had a table for 18 reserved and it sat empty while we waited even w reservations - then it was partially filed with crying child and made for an unpleasant experience as staff kept trying to appease the child and other guests were frustrated and left. Wonderful neighborhood spot with contemporary, clean line feel. Tasty Asian dishes, esp the pad Thai and curries. Can also go rice-less for low carb folks. Attentive and sincere service. Great value too! The accept more reservations than they can handle. It was raining the day we went and they literally got a table from outside wipe it a little down and then put a menu and directed us to sit there. The table was wet from the bottom and dripping. I had to tell the waitress who first had said they had wiped all of it down. It was not true. The food is consistent and flavorful. The service is superb. It's become our go-to neighborhood restaurant. If I may borrow from the old series Cheers, it's a place where they always know your name.. Delicious and inventive interpretations of Asian, especially Thai classics. Love that you can get Pad Thai 4 ways. The food was high quality and delicious, the portions sizes were perfect., the service was outstanding and the ambience was tranquil, fresh, light and welcoming. Most good restaurants in the neighborhood are typically very loud, however this place is busy but tranquil and relaxing. I think the food quality together with the restaurants good karma attracts like patrons. My wife, daughter and I now have a new favorite restaurant in Dallas. Great place to meet for lunch. Food is awesome and service outstanding. The food was bland and way too sweet. Especially the Pad Thai. Plus only one option for extra spices. The other 2 restaurants are much better in terms of taste and service. Chicken teriyaki unseasoned and over cooked. Service tepid at best. Atmosphere was unremarkable. Overrated. Won’t go back. We frequent Mint because it’s locally owned with several tasty menu options and its always consistent. The staff tends to be very friendly and sociable and the restaurant is always very clean and inviting. This was my first time going there dinner. I've been for lunch during the week several times. It was filled with mostly families with children, many of whom were running around or practicing their drumming skills with the chopsticks, which made it noisier than my friends and I were hoping for. As always the food was great! I'll definitely keep going for lunch but will probably stay with the Forest Lane location for dinner. I have wanted to try Asian Mint for a while, and it did not disappoint. Can't wait to go back! This is one of my top 5 restaurants in Dallas! Great food, great atmosphere!! It was an amazing experience. The servers and management went above and beyond to make sure we had a positive experience. It worked! I can’t wait to come back again soon. The Thai and Asian Fusion food here is always fresh, flavorful, and well served. In addition to this, what makes Asian Mint special is the manner in which I am always greeted in such a warm and friendly manner. I have come to call it my neighborhood spot. It's nice to have a place where they know your name. Wow! This place knocks your socks off! The food is wonderful and healthy! And, the drinks are super especially if desire your date to be in an extremely romantic mood!! Rock and Roll Baby!! Great selection of Asian dishes. It's OK but not as good as the two originals. It could be the chef. 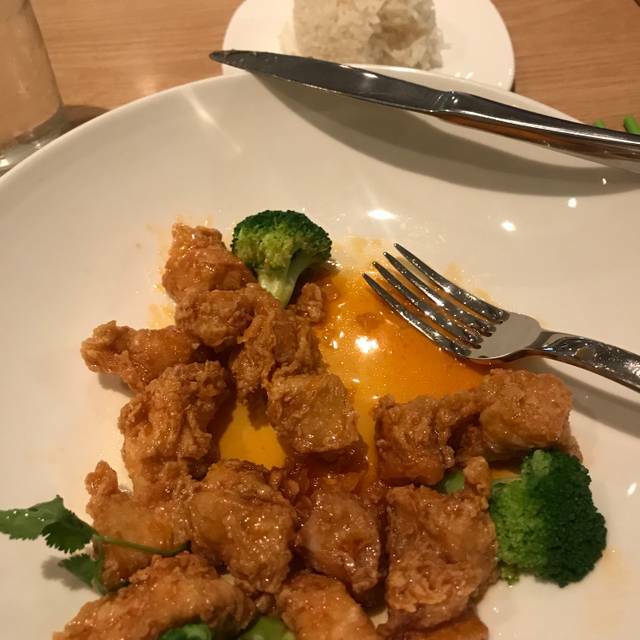 The orange chicken consists of dry fried chicken strips and a watery sauce on the side. Not my cup of tea and needs to be rethought. The wait staff are great! Loved the Shrimp Pad Thai, ambiance & service!!! Bright, cheery, upbeat restaurant with great Thai food. Willing to make changes to adjust to customers’ needs. A happy place. This restaurant is always, always excellent. Asian dish that typically includes multiple veggies, nuts, etc. Stir fry cashew chicken was beyond medium spicy promised on menu. Waiter seemed unconcerned that we were less than pleased with our food.